Some of the most difficult questions I receive from readers concern the relationship between making extra payments and refinancing. I have never been very happy with my answers, and recently took a harder look at how making extra payments and refinancing are related. The hope was that if I understood it better, I could answer the questions better. This article reflects my current understanding, followed by new answers to some common questions. The extra-payment decision is best viewed as an investment decision. The funds used for extra payments could be invested in CDs or bonds where they would earn the return being paid on those assets. Instead, they are invested in reduced mortgage debt, on which they earn a return equal to the mortgage rate. What mortgage rate? The rate the borrower would have paid on the balance they pay off, which is their current mortgage rate. In principle, if they anticipate that they will refinance to a lower rate, then that lower rate is the one that will be earned on the extra payments, but that won’t apply until after the refinance, when the extra-payment decision could be reconsidered. It is very doubtful, however, that a rate-lowering refinance induces many borrowers who have been making extra payments to reduce them. The principal motivation for making extra payments seems to be to get out of debt faster, and the refinance won’t change that. Borrowers refinance for several reasons: to reduce the rate; reduce payments; reduce risk of future rate increases; and to raise cash. Only rate-reduction refinances may be affected by extra payments. The decision to refinance in order to reduce rates involves a judgment that the savings from the rate reduction, over the period the borrower holds the new loan, will more than cover the refinance costs. The three most important factors in this judgment are the size of the rate reduction, the refinance costs as a percent of the balance, and the life of the new loan. Calculator3c on my Web site pulls these and other factors together to generate an answer. How can extra payments affect the refinance decision? Those made in the past don’t figure directly in current decisions. However, past payments have reduced the loan balance, which reduced the benefit from a subsequent refinance. As balances become smaller, the benefit from refinancing shrinks and at some point disappears. Indeed, few lenders are interested in refinancing loan balances of less than $50,000. Extra payments that borrowers expect to make in the future should be factored directly into the refinance decision process. Extra payments reduce the expected life of the loan, which (other things the same) reduces the benefit from the refinance. In using the refinance calculator, you should shorten the term of the new mortgage. If you plan to refinance into a 30-year loan, for example, but extra payments would result in payoff in 20 years, you should use 20 years as the term. There is no reason not to. The benefit from the extra payments you are currently making, consisting of the balance reduction, is not affected by a subsequent refinance. After the refinance, the return on additional extra payments will be lower because of the rate reduction. This might cause you to reduce the payments, but probably won’t for reasons indicated earlier. These should not be viewed as alternatives. Make the investment decision first, based on the rate expected in a refinance. If it is a good investment at that rate, do it. 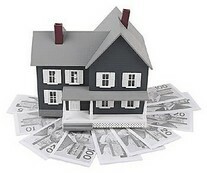 If the investment decision is negative, then assess the profitability of a refinance. These should not be viewed as alternatives. Make the refinance decision first; if it pays to refinance, do it. Consider whether you want to make extra payments after you refinance or if you don’t refinance. See Jack Guttentag’s feature, Many Borrowers Paying Premium to Refinance.